Check out these hard-to-believe before & after images! At the beginning of this week, the elevator looked like the image on the left. Robert Wiest, one of KC Restoration’s masterful technicians stripped away the old coating and panels covering the elevator doors before refinishing the steel to its former beauty. We’re so proud of his hard work and think he has much to be proud of, so we had to show these doors off! 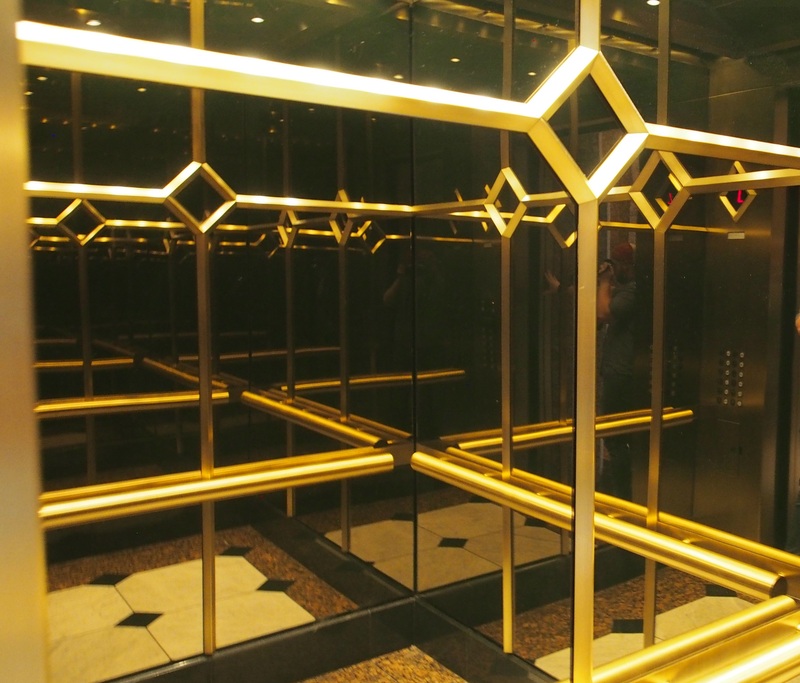 Turn those moments of forced waiting for an elevator into an opportunity to impress by refinishing your elevator cab interiors and entrances. From wood panels to gleaming metal to the stone flooring, KC Restoration’s team of expert technicians can revive a tarnished or lack luster appearance to a beauty that might just surprise you. 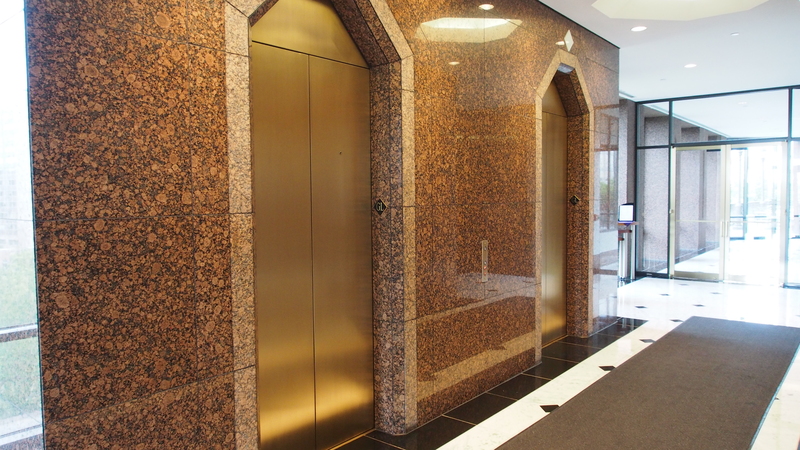 These gorgeous satin-finish bronze elevators also feature some wonderful stone work that KC Restoration is proud to keep looking their best, and we’d love to provide the same outstanding results and service to your elevators too! 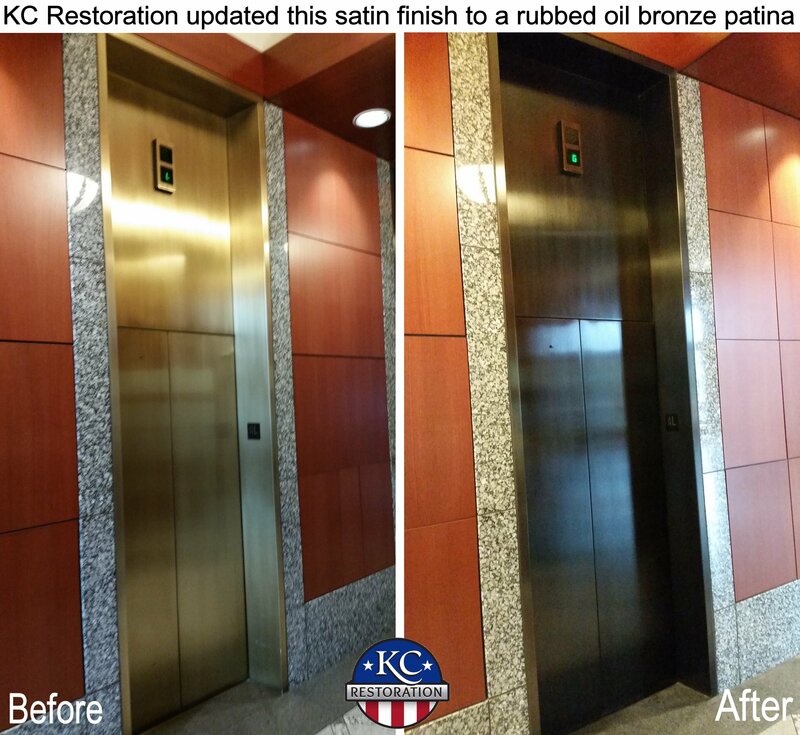 These before-and-after photos show KC Restoration’s recent work for Paul James who wanted to update the satin finish on bronze elevator entrances and cabs to a beautiful rubbed oil bronze patina finish. 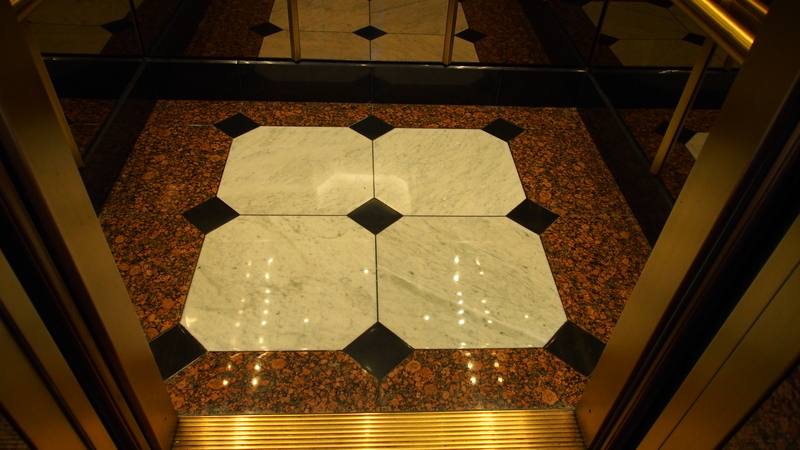 KC Restoration’s talented technicians worked hard for many weeks to complete the look on 50 elevator units in the Downtown Marriott’s Muehlebach wing. We think the look is perfect for this refined, elegant hotel, and we want to thank Mr. James and his staff. We couldn’t have picked more excellent, professional clients and partners to work with on such a wonderful project!